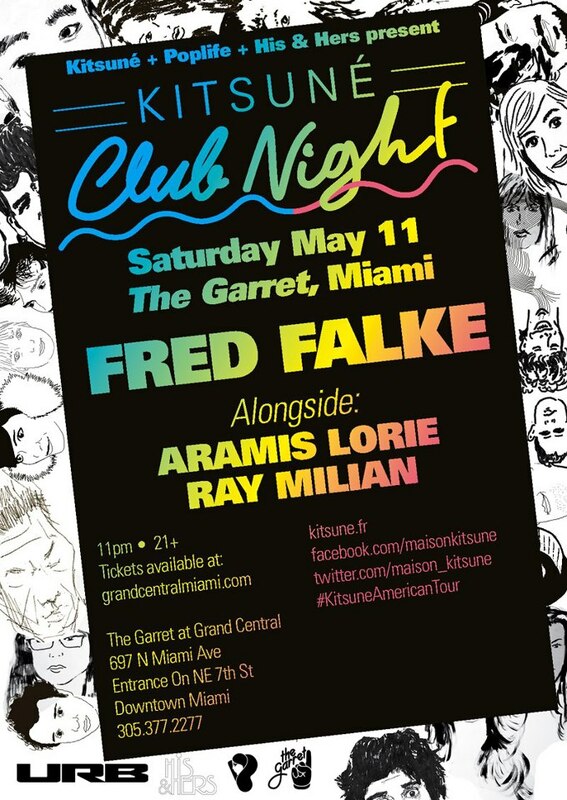 Pretty psyched for the Kitsune Club Night party going down this Saturday, May 11th at our weekly love child event with PopLife, His & Hers at The Garret. On this night the amazing Fred Falke (one of our all time fave producers) will be manning the decks for what is sure to be an amazing night of dance floor action. Chances are you've been probably been jamming to many of his amazing tunes/remixes throughout the years without even knowing it. Miike Snow's "Animal" remix anyone? Check out a few of his amazing tracks/remixes below, plus a Kitsune mini mix to get you psyched for Saturday. Buy your tix's for the event for $10 on Ticket Fly here and check out the Facebook invite here.